Don’t you hate it when the Dave Matthews Band or some other act that you love go on a concert tour and don’t perform anywhere near your city or town? Don’t you hate it when a very cool metal concert finally comes to your area and you don’t have tickets? Don’t you hate it when an up and coming act plays a club in your area and the event is sold out in minutes and you cannot get your hands on a ticket? Don’t you hate it when you find out that one of your friends or acquaintances had backstage passes to a cool concert and partied like crazy with the band? Don’t you hate it when there is an excellent local band in your area that deserves national attention and no one knows how to take that act to the next level? All the above statements are so frustrating… yet so very true…..
Well, I have experienced all of the above situations personally. Those same type of situations is what was my motivation years ago in wanting to become a concert promoter myself! Thank you for your interest in Spencer Concert Systems’ Concert Promoter Courses! Hello, my name is Jack Spencer and some years back I decided to become a concert promoter. I was very young and didn’t know what I was doing. I started part-time and doing one show at a time…Learning, making mistakes, etc…Finally in the early 2000s I left my full time “real job” and took the plunge – glad I did! You can too, once you get going! I had become a concert promoter because I got tired of not being able to see the bands that I wanted to live in concert. You probably have your own frustrating stories about missed concerts, sold out events, bungled tickets, etc. In the mid-2000’s, I lived in a small Midwestern city… what the big, national booking agents call a “secondary market”. Most of the big touring bands would never play “secondary markets” at that time in music history. The first reason was that they did not need to play secondary markets; secondly, there was not a concert promoter willing to do a show in secondary markets back then. Much has happened since 2012. Secondary markets like Indianapolis, IN; Raleigh, NC; Austin, TX; Kansas City, MO; Topeka, KS; St. Joseph, MO; Omaha, NE; Providence, RI; Scranton, PA; Hartford, CT; Oklahoma City, OK; Tulsa, OK; Des Moines, IA; Cleveland, OH; San Jose, CA plus dozens of other cities have become regular tour stops for large, touring concert acts. The Canadian markets have also grown immensely since the mid-2000′s. This is good news for all of us! The “primary markets”, for example, New York City, Boston, L.A., Dallas, Philly, Chicago, Seattle, etc. now do multiple night concerts with the same acts. This is also good news for all of us. There are also a lot of smaller cities and towns that can support concerts and there are a lot of willing acts to play those markets if the routing schedule is right. There are more and more concert venues available for independent concert promoters now. European concerts are being done by a new group of independent concert promoters. You can join that group! The bottom line is the concert business is a very healthy, very vibrant, huge entertainment slice of the pie growing rapidly in this era. The concert industry released the [year minus=”1″] concert figures, which had total receipts of over $10.4 BILLION DOLLARS from all of the tours worldwide for the year. Huge year for concerts! Throughout the top 50 tours for [year minus=”1″], women artists are doing better & better each year. Female concert artists are probably the fastest growing segment of the business, yet there is a dearth of female concert promoters at this time. The industry needs more women concert promoters. Road Warriors such as Jimmy Buffett, Lady Gaga, Maroon 5, Red Hot Chili Peppers, Usher, Pearl Jam, Nickelback, Dave Matthews, Roger Waters, The Eagles, U2, Justin Timberlake, Foo Fighters, Journey, Def Leppard, Depeche Mode, The Rolling Stones, Elton John, and Metallica just had fabulous successful [year minus=”1″] tours. Country music had blockbuster tours with Keith Urban, Kenny Chesney, Luke Bryan, Florida Georgia Line, Shania Twain, Chris Stapleton, Carrie Underwood, and Jason Aldean doing top business. Brad Paisley had a very strong [year minus=”1″]. Garth Brooks has returned to the concert trail for [year minus=”1″] – [year] and is doing “sold out” shows everywhere he plays. Metal acts had a very strong [year minus=”1″]! Guns N’ Roses had a huge tour that continued through 2018 celebrating their reunion. Comedy, folk , rap, blues, R&B, Christian, and jazz concerts had a fabulous year in [year minus=”1″]. My reason for discussing the previous monetary figures with you is to demonstrate to you how strong the concert business is, how it is still going and always looking for more markets to grow into. Ticket revenue is up and the summer concert season will be huge at all levels in [year] – arena, outdoor, theaters, and clubs. The concert business is doing well! Besides the superstars discussed above, mid-level acts, newer acts, metal acts, and classic rock acts like REO Speedwagon, Megadeth, The Doobie Brothers, Chicago, The Cure, Phish, Slayer, Anthrax, Foreigner, Kansas, Styx, etc. all had excellent [year minus=”1″] tours that are continuing into [year]. The opportunity to become a concert promoter and promote concerts with mid-level acts and classic rock or soul acts has never been better than right now in music history. Because of the thriving entertainment business of live music, there are now an unprecedented number of venues available in virtually all markets- primary, secondary, small and private, to book and promote successful concerts. From large arenas with seating capacity of up to 20,000 people, to mid-level venues with capacities of 7,000 to 11,000, to theatres from 800 to 4,000 people, to small halls from 1,000 to 3,500 people, to nightclubs with capacities from 300 to 1,000 people- the concert business needs new, independent concert promoters to handle all of these venues. One important fact I have learned over the years is that the only way club owners & city facilities such as arenas, halls or renovated theatres can show a profit is to use the venue as many days a year as possible . Seventy five percent of these venues do not promote their own concerts or events; they only manage their locations. Therefore, they rely on outside, independent concert promoters, sports events , private conventions, fairs, etc. to generate rent and concession income to help pay the overhead of the venues. The venues, in turn, are always looking for as many events as possible to fill their locations. That’s where you, as the concert promoter, are so important to these people. Sure, Live Nation and AEG Presents are large international concert promoters, but there is plenty of room for independent concert promoters as well. I have attached two addendums for your review. My First Concert As A Promoter is the story of the first concert I did as a concert promoter. Read it and realize how exciting it was for me- how cool it was and how it showed me I could make money doing what I love ……everyone’s dream. I also have a list of our Concert Promotions which shows some of the concerts I have promoted in the past ten years or so. Some of the acts I only did once… some, many many times… but all of them were very unique, one of a kind special nights, and I will have great memories of each and every one of them forever! Many of the acts I started working with in the 1990′s still work with me today. If you treat the artists and their crews in a respectful, fair way, they will continue to work with you on their way up the ladder into the larger venues. Have I made money on all of the concerts that I have done? No, I have lost money on some shows over the years. When you do a great number of shows, the law of average catches up with you. I’ll discuss how to minimize a loss on a show that looks like it could be a loser on show day in the concert promoters course. My staff and I have spent a great deal of time and effort putting our system together on how to become a concert promoter. We want to have a WIN/WIN relationship with you that will last for many years to come. I sincerely want to help you be a big success and help make your lives better. Our philosophy is to always be there for you. We will answer questions for you by way of E-Mail, mail, phone, or even set up a personal one-on-one consultation in any city you would like! No matter how old you are, it is never too late or too early to do something you love. It may be your destiny to become a concert promoter…..so take control of your life and GO FOR IT! You can position yourself into a new, financially lucrative and rewarding career in the music business as a successful concert promoter. You will be able to set your own work hours, you will decide which acts to book, you will decide which club, theatre or arena to book the act into, you will be able to hang out with the artists, their entourages, etc. backstage and on their tour buses, while the whole time being your own boss! 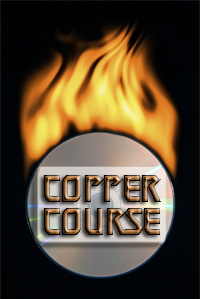 We have designed four different levels of concert promoter course study…. Copper, Silver, Gold and Platinum. Each level is a “nuts and bolts” home study that presents a step by step start to finish instructions to get you ready to start your new concert promoters career. It is up to you to decide which level of concert promoter course study best applies to your personal needs and experiences. Our basic system (Silver Course) is an excellent basic course for a new concert promoter. 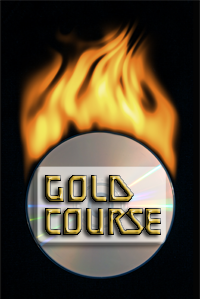 We have added features in the Gold Course for those who want a little extra help onto their new concert promoter career path. Our newest product, the Platinum Course is the ultimate in information and direction for becoming a successful Concert Promoter. 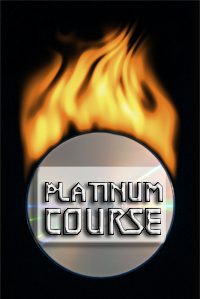 I strongly recommend the Platinum Course, especially for the mentoring you receive from me and my staff. If you follow our system course correctly, you will be ready to book your first concert as a concert promoter in less than two weeks if you want to! Just think of the possibilities! Always remember, we will be here to help you along your way. Follow our concert promoters course and watch your life and bank account change! Remember, Spencer Concert Systems is the real thing. We were the first and we are the best! Don’t accept any low price imitators or posers. You’ll regret it. I hear that time and time again. Please read our testimonials. They are telling it like it is!! In summary, Spencer Concert Systems is an award winning website and our concert courses have won many honors, awards, and acclaim in the industry. We are always honored to receive the honors and awards from veteran concert promoter associations, booking agents, music acts and music professors from many colleges who use our courses. But most of all, getting letters and emails back from our customers who are now living their dream and booking concerts as a concert promoter is the most rewarding honor of all for me. What are you waiting for? Make your move and order now! We look forward to working with you! Let’s Get Rockin and Make Some Money Now! Become a Independent Concert Promoter!